Directions: From Denver, take 285 S. to Pine Junction. Head south on 126 (Pine Valley Road) to the Historic Pine Townsite. 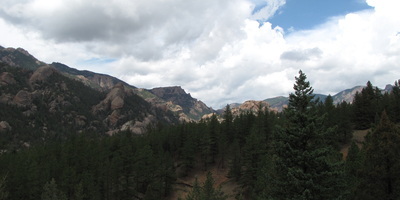 From here keep heading south on 126 which is now called Deckers Road. 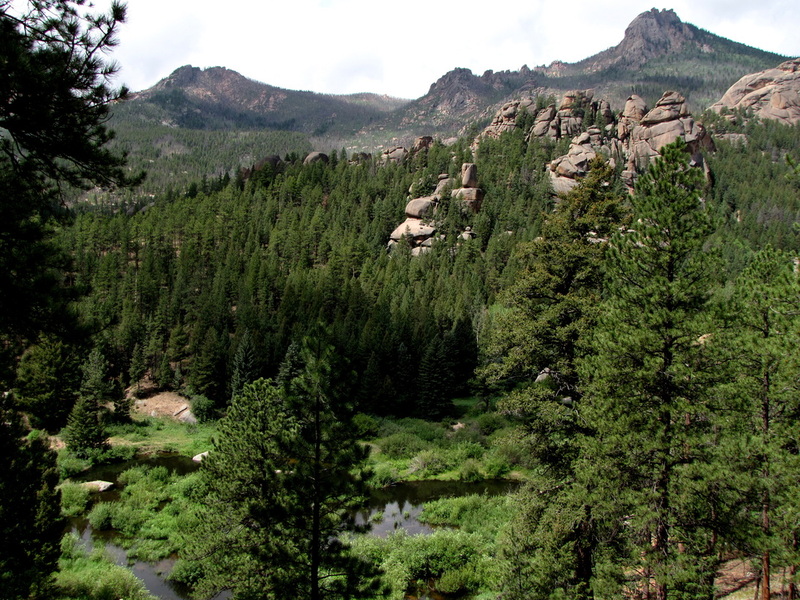 This is a beautiful Drive! 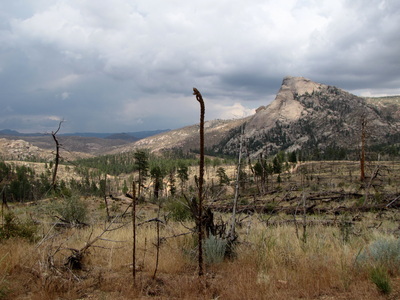 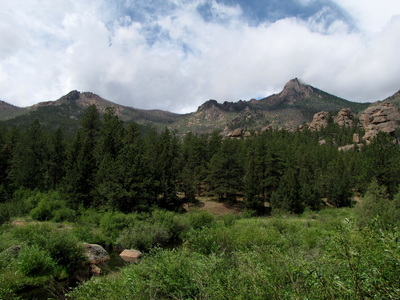 Follow 126 until you reach Cheesman Reservoir and turn west onto 211 Wigwam Creek Road. This good dirt road enters the Hayman Fire Burn Area. 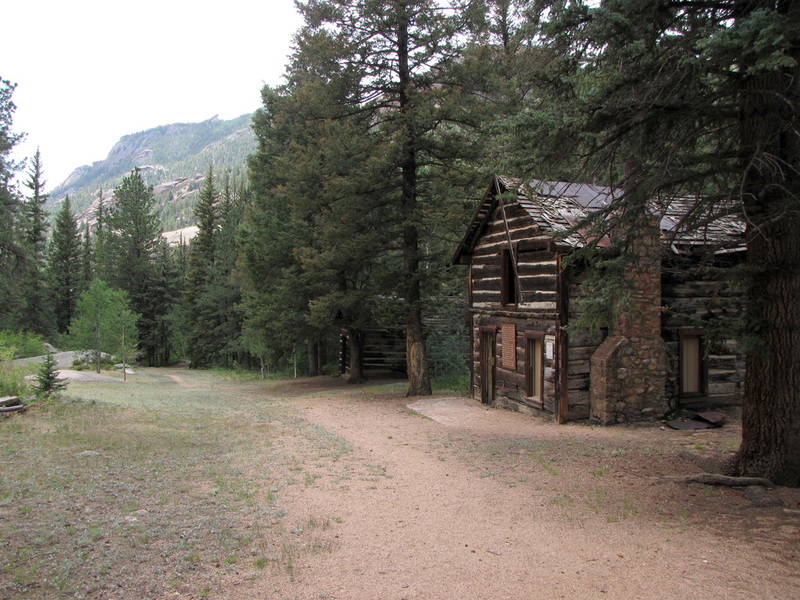 After driving up the hill, turn right (west) onto Goose Creek Road. 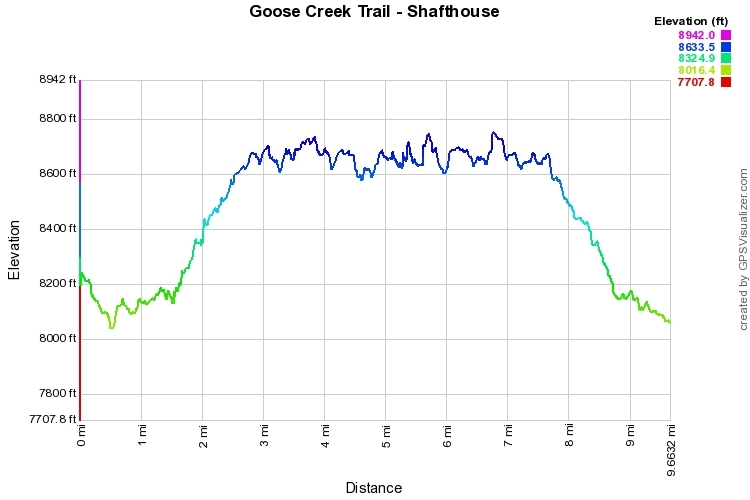 Follow Goose Creek Road until it ends. There will some intersections but there are also signs pointing the way. 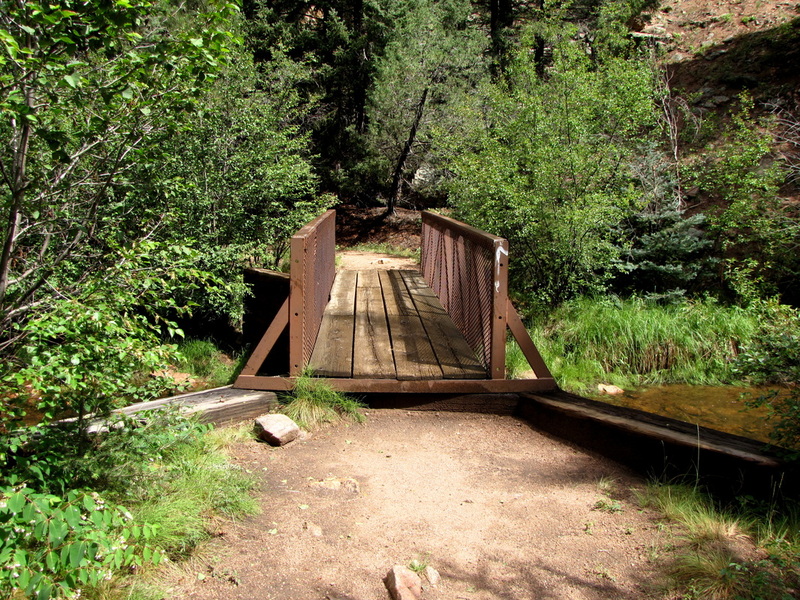 At the end of Goose Creek Road, you'll find the Goose Creek Trailhead and Parking Area. 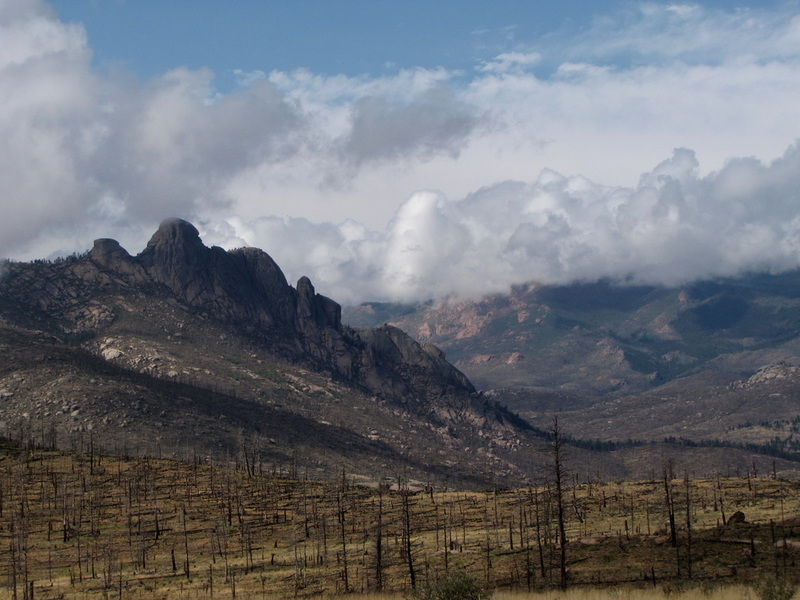 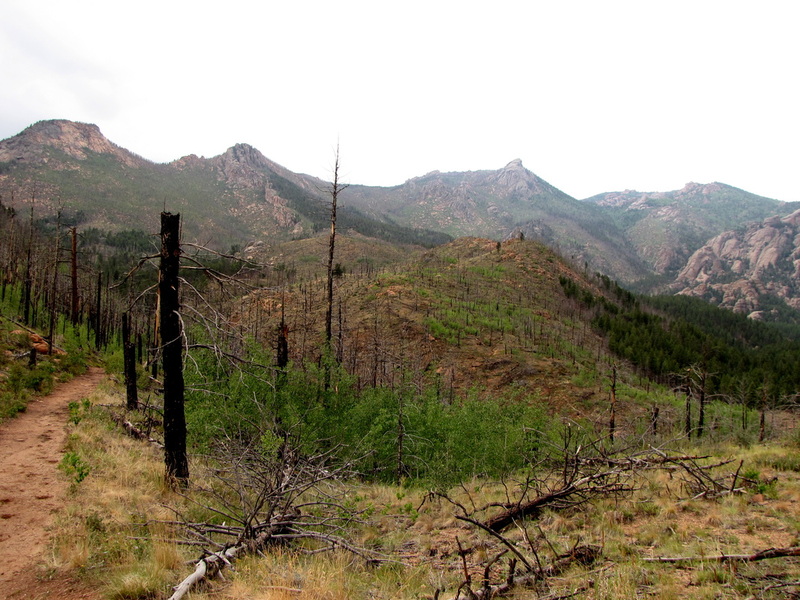 Driving through the Hayman Fire Burn Area is an amazing experience. 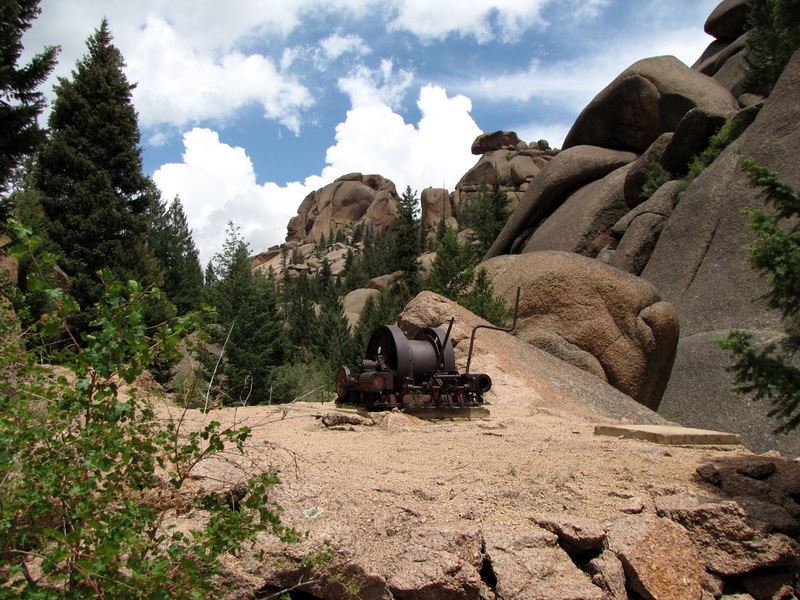 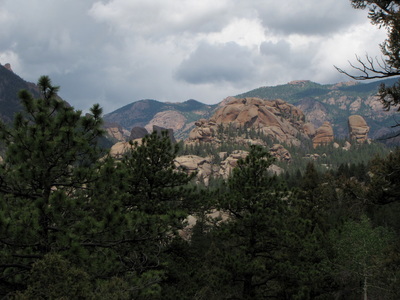 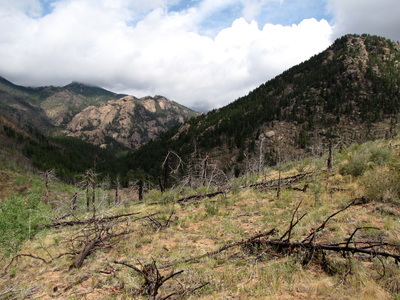 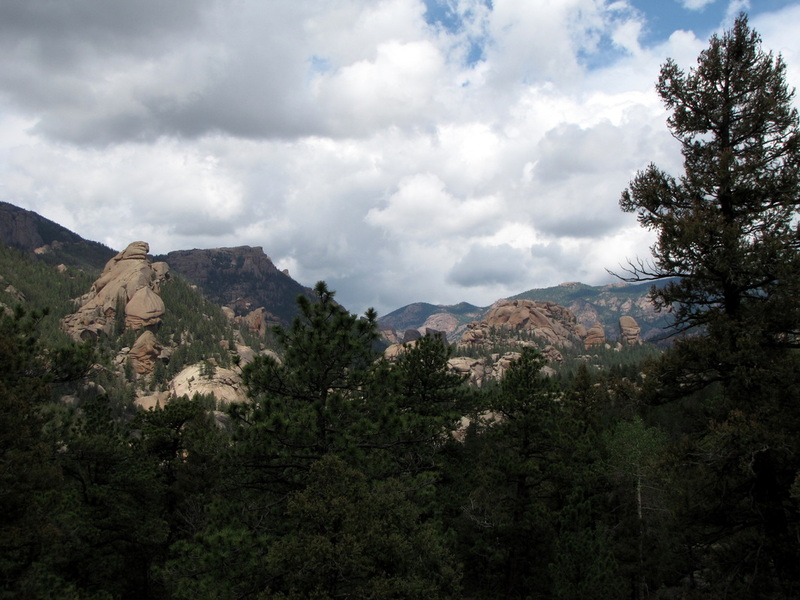 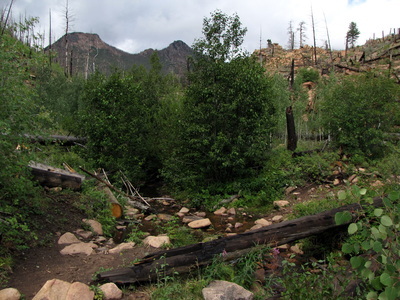 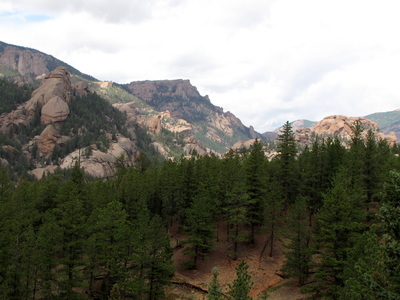 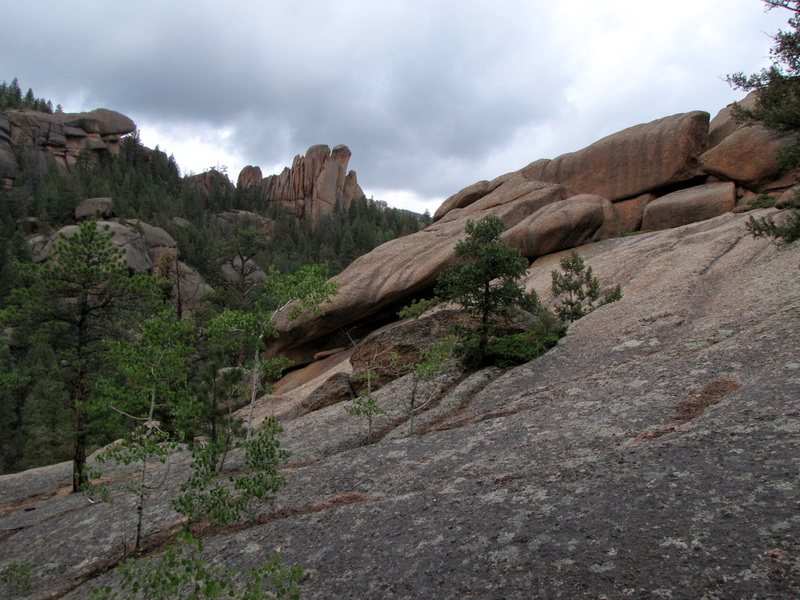 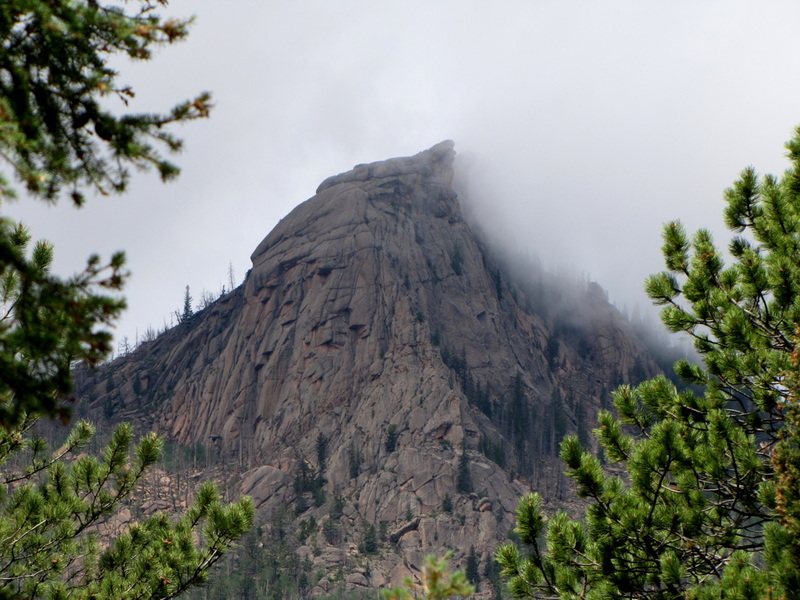 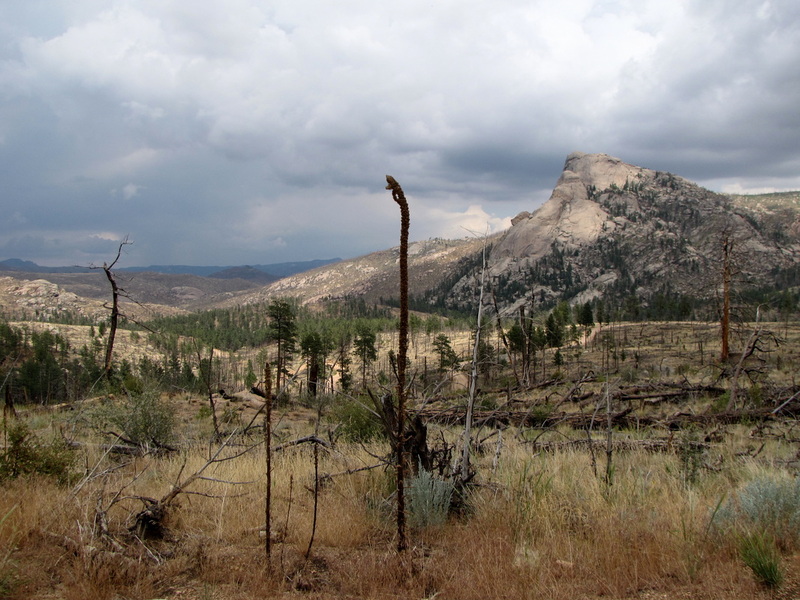 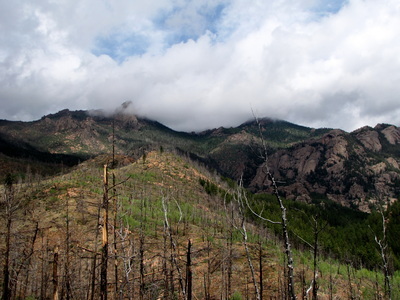 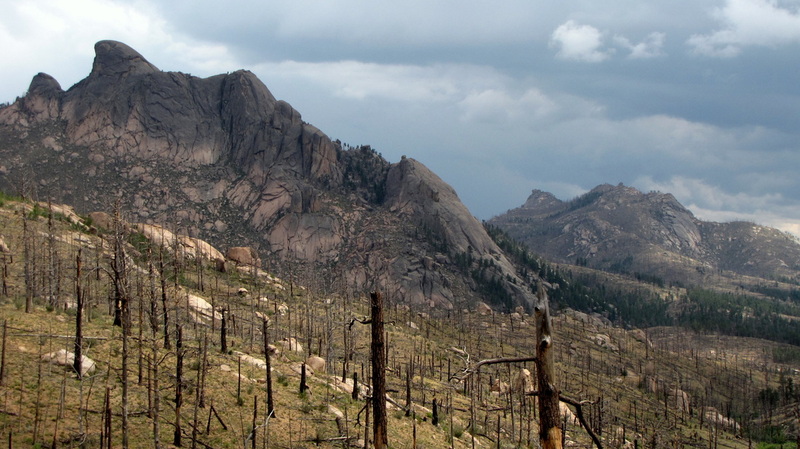 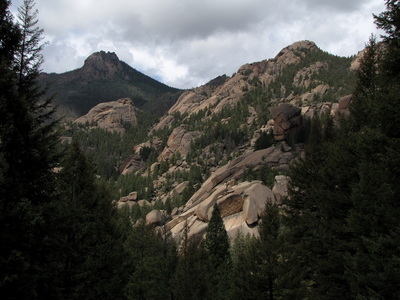 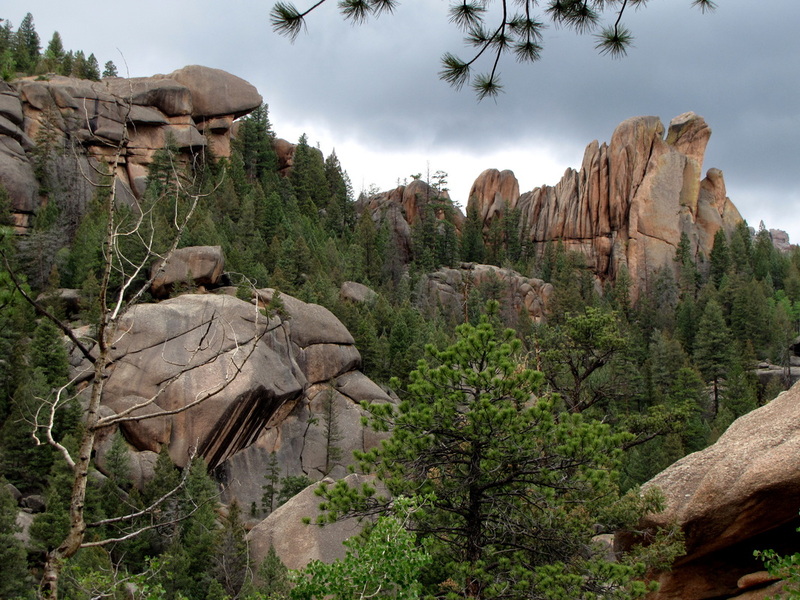 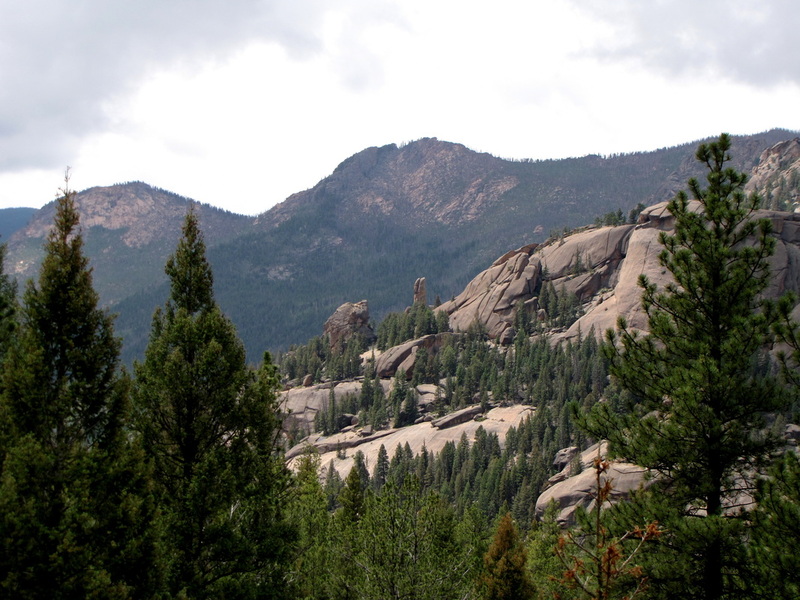 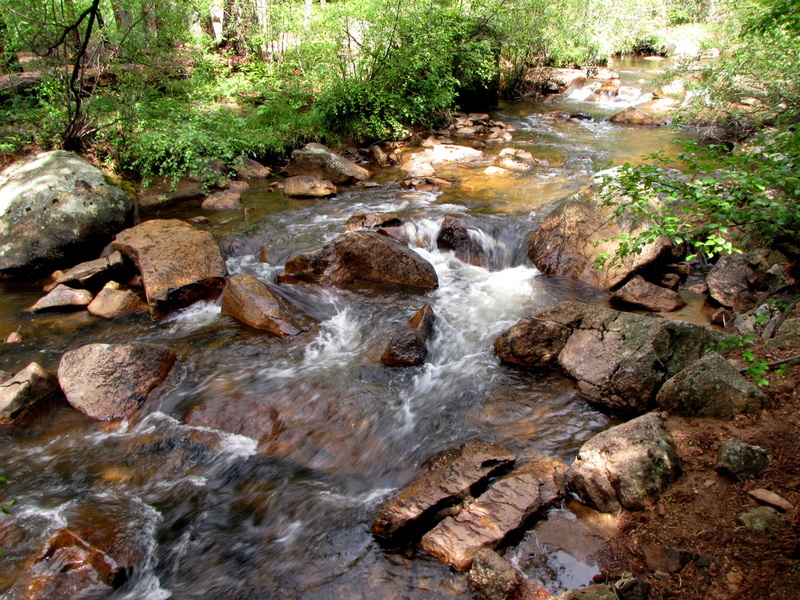 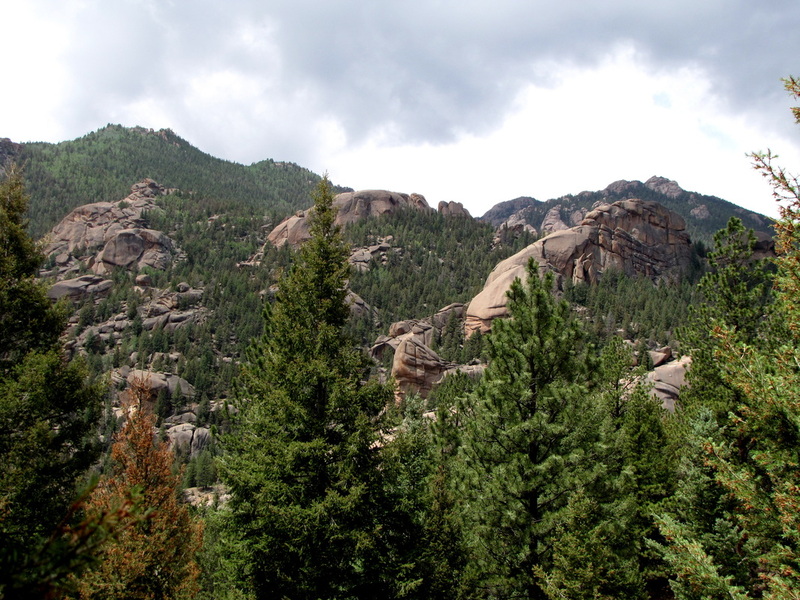 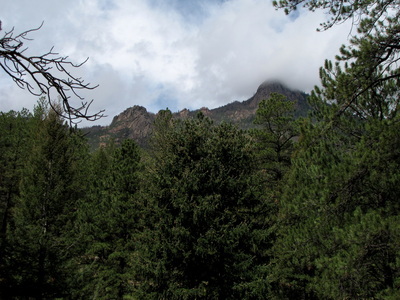 The Goose Creek Trail is perhaps the most popular trail in the Lost Creek Wilderness and when hiking it, you'll understand why. 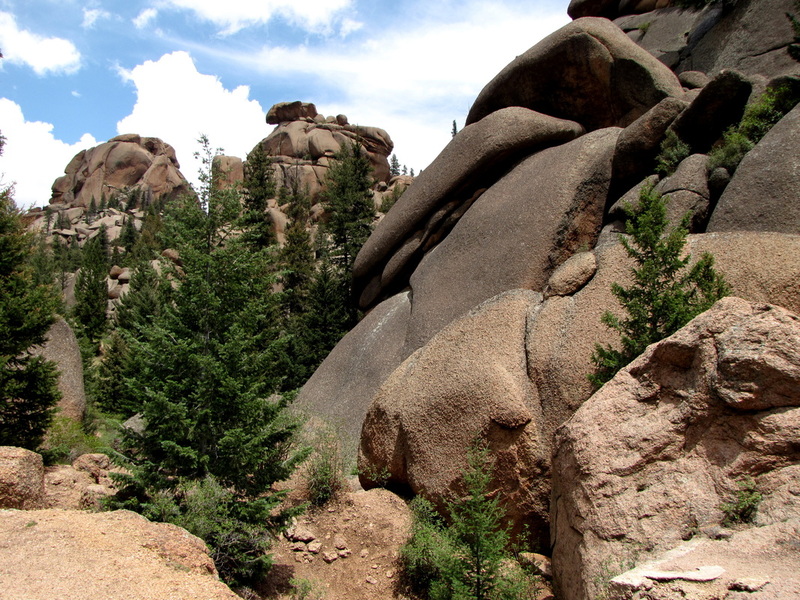 The landscape is surreal. 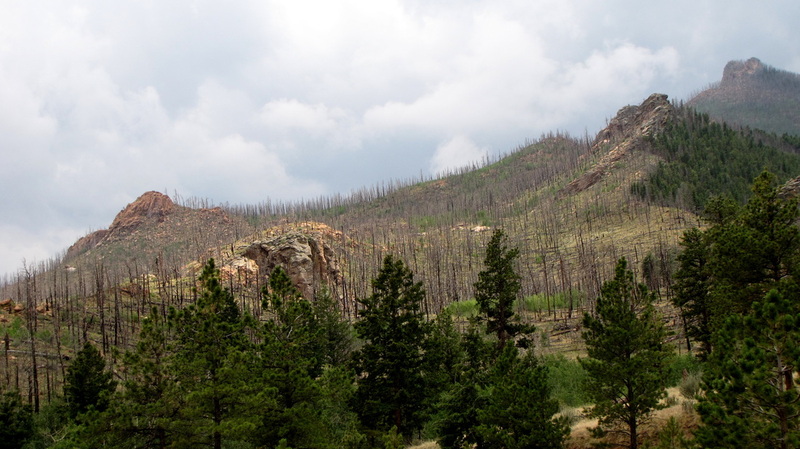 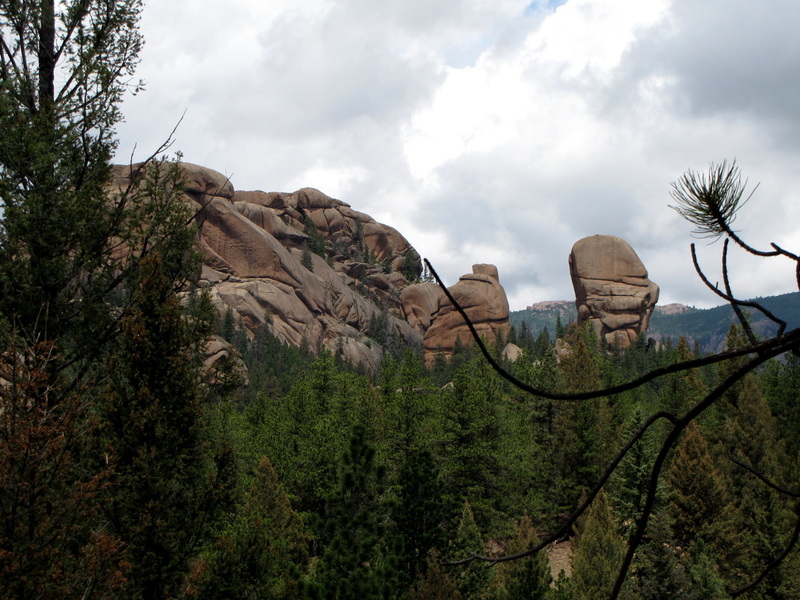 The forest is lush (once out of the burn area) and the rock formations are striking. 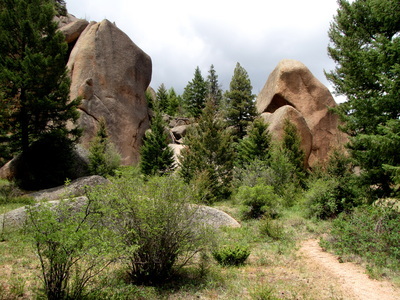 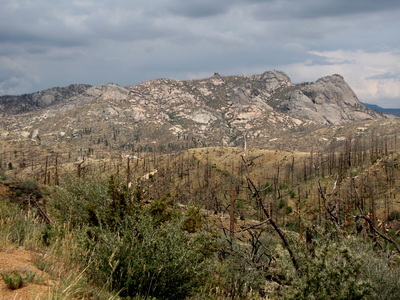 The hike starts out by descending down into the Wilderness area. 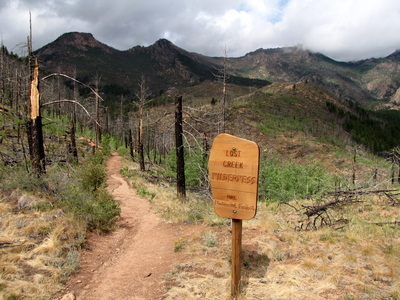 When you hit the first trail junction turn right (north) on the Goose Creek Trail, going left would take you to Hankins Pass. 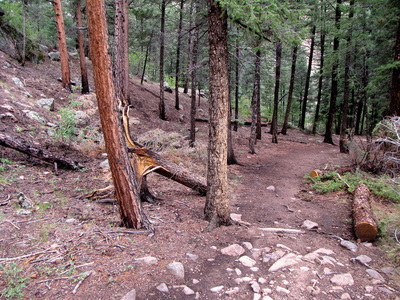 The trail then follows Goose Creek for a long while, taking you through a busy camping area, and up through the forest. 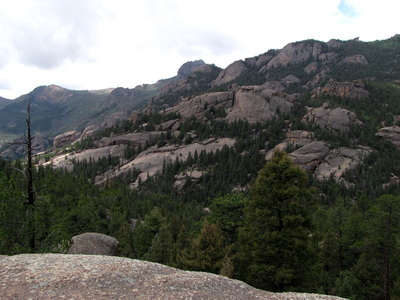 The climb is steady and the views are plentiful. At about the 4 mile mark, you'll start to switchback down the valley towards the creek. 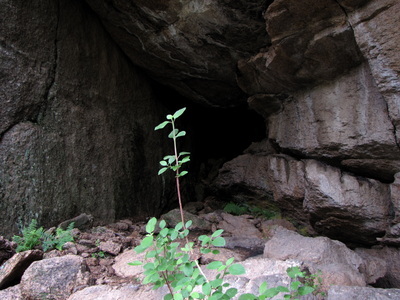 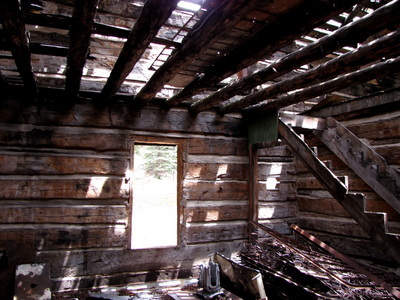 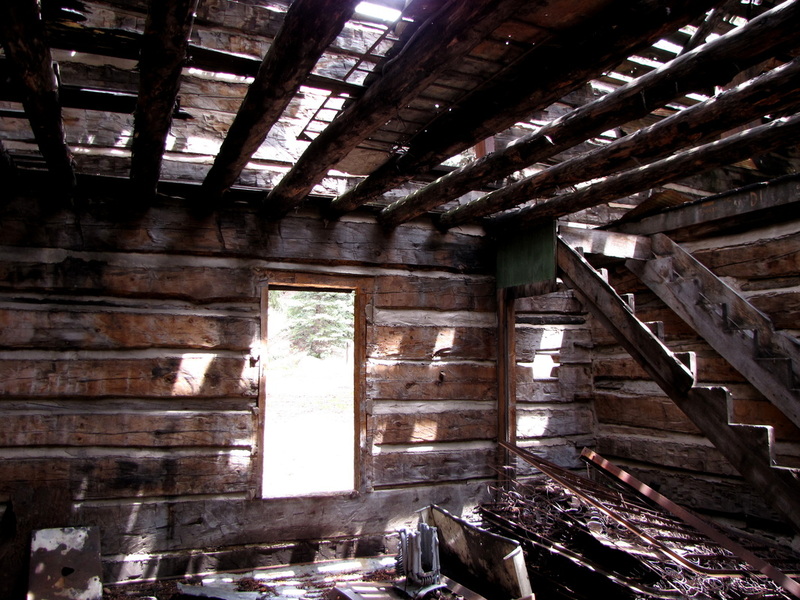 A short detour will take you to the historic mining town with old abandoned buildings that you can explore. 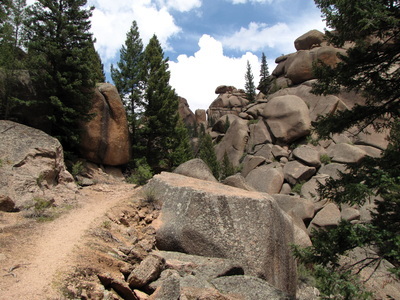 Head back up hill on the final ascent to the "Shafthouse." The Shafthouse is an old mining site with some equipment still intact. The real reason that this is your destination however, is that the mining site is located right in the middle of some amazing rock formations. 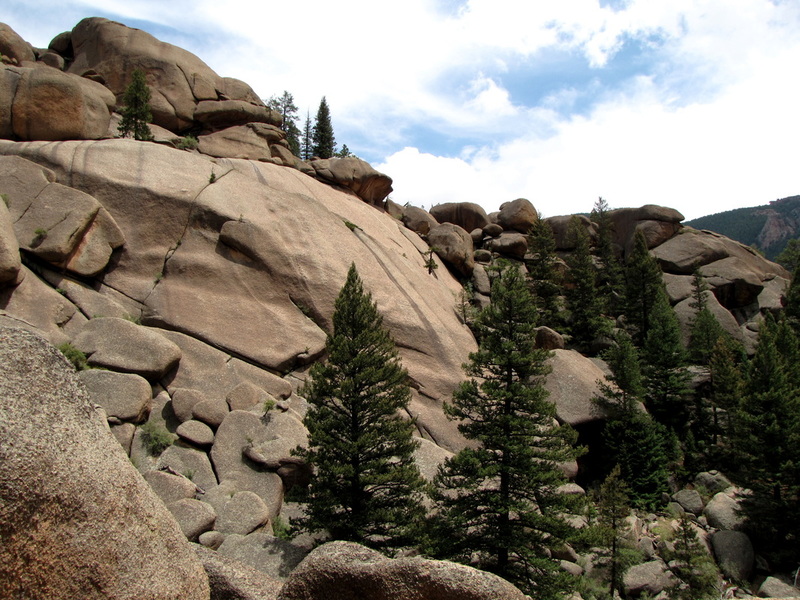 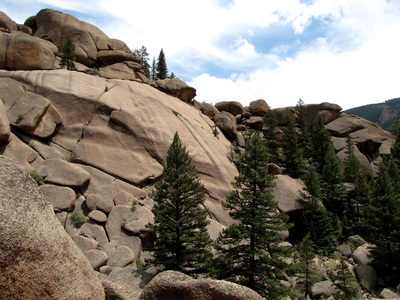 Towering boulders and cliffs can be explored to your hearts content. 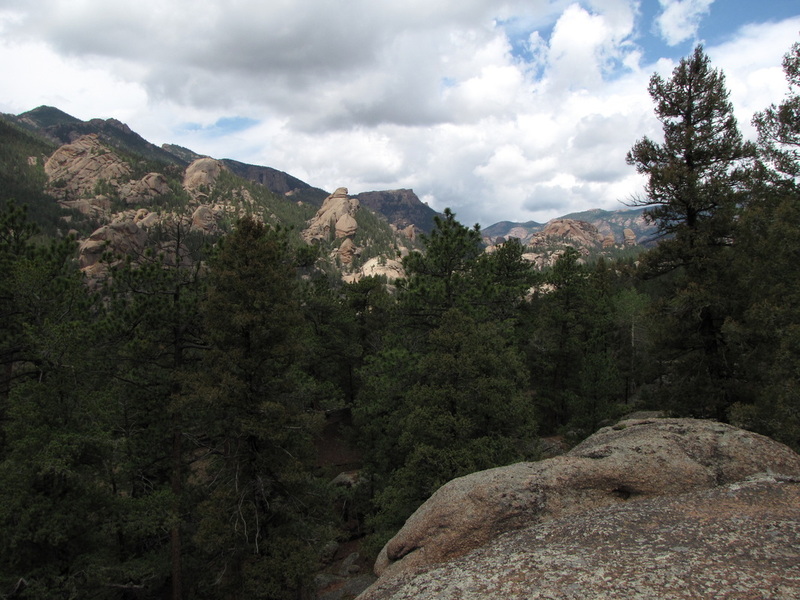 There is an amazing view north of the valley, but it takes some searching. 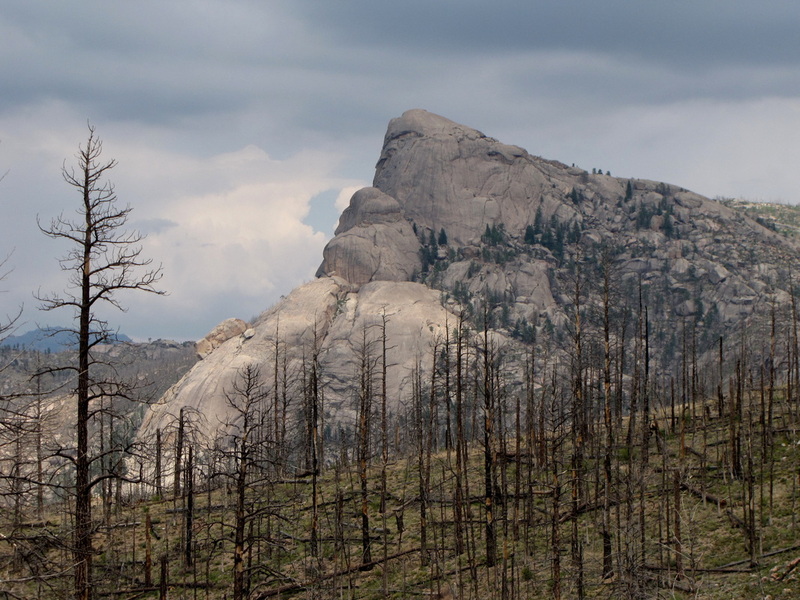 We unfortunately did not find it and had to turn back prematurely as thunder storms rolled in quickly. 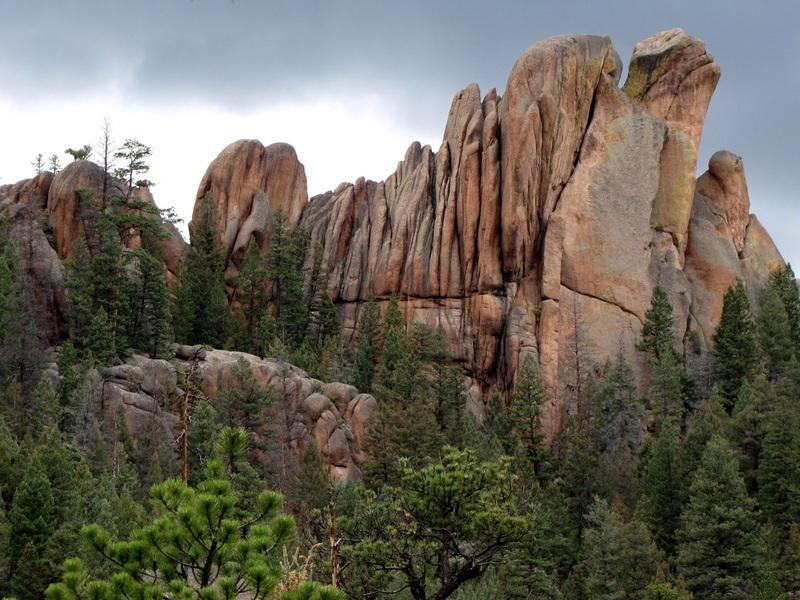 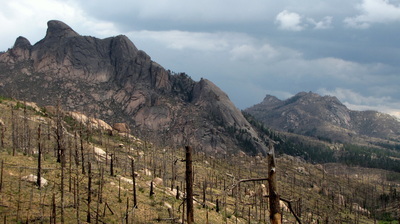 We spent most of the hike back down with Thunder resonating through off the granite cliffs through the valley. 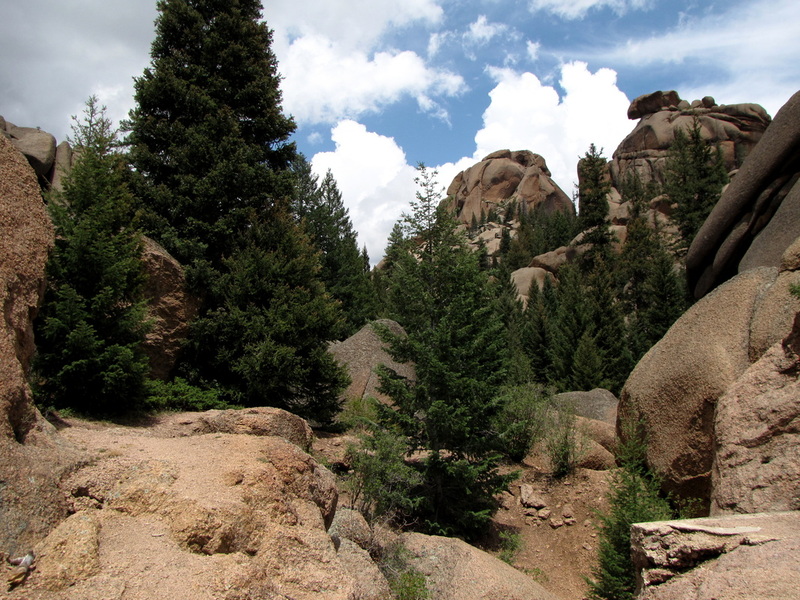 We were in the trees and felt safe, therefore it was incredible. 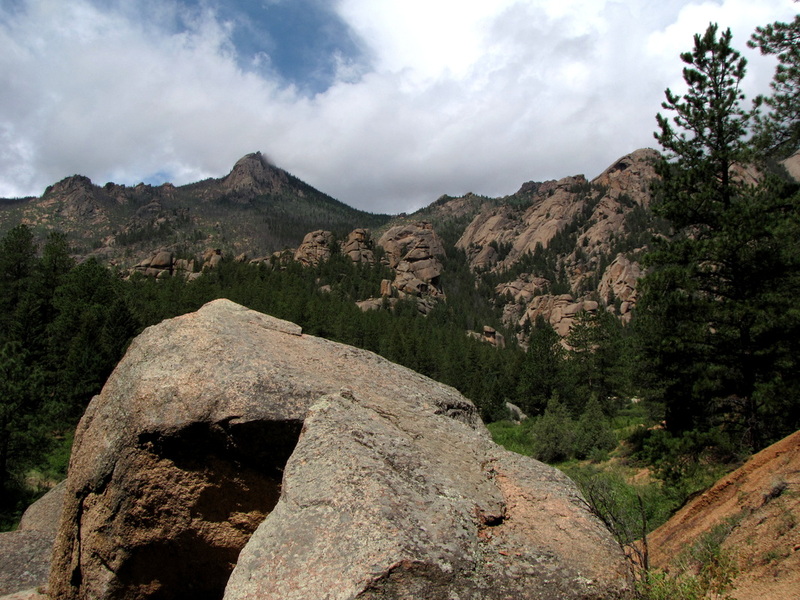 Luckily the rain held back and eventually the weather cleared, typical Colorado. Do stay and search for the view if you can, I hear it's worth the effort. Even if you don't find it however, this hike is still amazing. 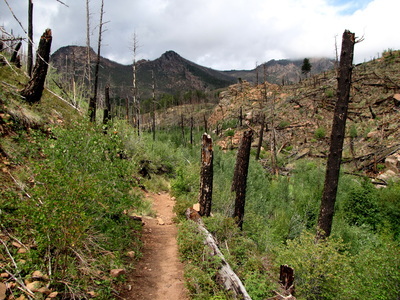 The trail is easy to follow and the scenery is just spectacular.